Elderflowers have the most amazing scent and a flavour somewhere between vanilla and champagne! They are in season usually around the end of May and into the middle of June. They grow in abundance near me in West London, and it’s great walking to a nearby park, or even to the end of my street, to pick a handful to add to jam, cordials and this gorgeous, indulgent ice cream! The wild strawberries for this recipe, I actually grow in the garden! They are absolutely bursting with flavour even though they are tiny, and would spread all over the garden if I liberated them from their pot! If the exact ingredients for this are unavailable, you can use ordinary strawberry cut into quarters and use a tablespoonful of elderflower cordial. 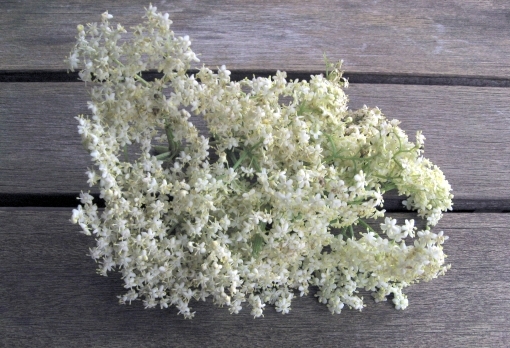 Wash the elderflowers carefully and tie them in a piece of muslin or cotton. Mix the milk, lemon juice and sugar in a saucepan. Add the elderflowers and gently heat the milk mixture until just starting to bubble. Remove from the heat and leave to cool completely. Remove the elderflowers and pour the milk mixture into an ice cream maker. Churn the mixture for about 25 minutes. 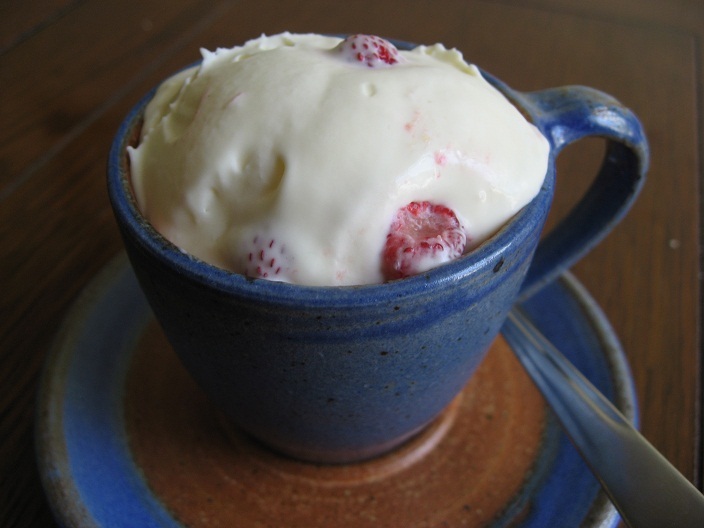 Spoon out the ice cream into a bowl and stir in the wild strawberries. Serve immediately, or put in the freezer in a suitable container. If you don’t have an ice cream maker, pour the mixture into a tub and put into the freezer. When the mixture has started to freeze bring it out of the freezer and whisk thoroughly. Do this again, then stir in the strawberries. Put back into the freezer until frozen.